The year 1813 was a defining one for all sides in the War of 1812. Victory and defeat were shared by the American, British and Canadian forces, as well as the Native peoples who fought on both sides of the struggle. 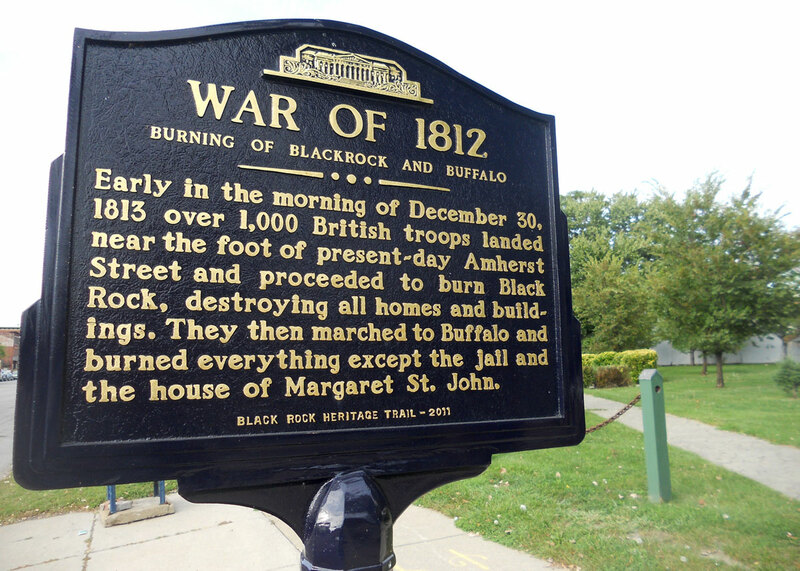 Western New York and Ontario remained vitally important in 1813; Oliver Hazard Perry’s American naval squadron defeated the British in the Battle of Lake Erie, and a short time later, Newark (present-day Niagara-on-the-Lake), Lewiston, Black Rock and Buffalo went up in flames. By year’s end, soldiers and civilians alike felt the bitter wrath of winter, amidst the charred remains of a once prosperous Niagara region. “The year 1813 was a tragic one for both sides of the Niagara Frontier, and events here would eventually impact the nationally familiar ones in the Chesapeake region in 1814,” says Douglas DeCroix, executive editor of Western New York Heritage Press, the not-for-profit publisher of Western New York Heritage, a quarterly regional history magazine. Last year, Western New York Heritage Press began a three-volume series of commemorative publications to mark the bicentennial of the War of 1812. 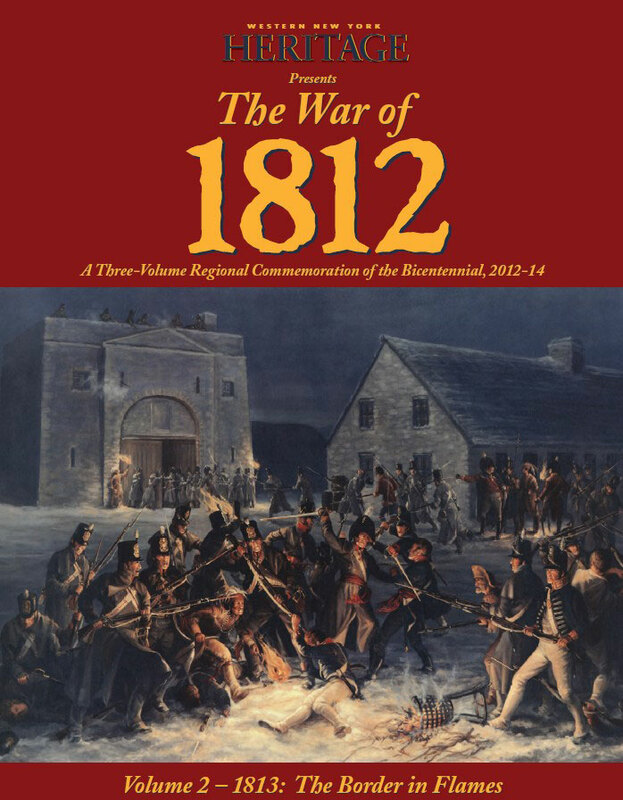 The newest edition, Volume 2 – 1813: The Border in Flames, was just released this week. “We had a great response to our first volume in this series, so I know people are going to enjoy this second one, too,” DeCroix says. While Volume 1 focused on the causes of the war and its first year, Volume 2 chronicles the local events and people significant to 1813. In the second volume, readers will find contributions from Erie County historian Douglas Kohler and Anne Conable of the Buffalo & Erie County Public Library, as well as internationally recognized authorities like DeCroix; Jim Hill, superintendent of heritage for the Niagara Parks Commission; Richard Barbuto, professor and deputy director of the Department of Military History at the U.S. Army Command and General Staff College; and Donald E. Graves, one of Canada’s best known military historians. Like Western New York Heritage magazine, this publication features a mix of captivating histories and stunning artwork and images. The series examines the war, its impact on our region and why it deserves to be remembered 200 years later. Some stories in Volume 2 include an explanation of period military tactics and uniforms; an examination of Western New York’s role in the “Star Spangled Banner” story; and biographies on Canadian heroine Laura Secord and Seth Grosvenor, who arrived in the Queen City in 1813 and left his mark as benefactor of Buffalo’s Grosvenor Library. Since premiering its first issue of Western New York Heritage magazine in 1997, the non-profit organization has strived to foster a pride of place in Buffalo and all of Western New York by researching, documenting, preserving and interpreting all aspects of the region’s heritage. The War of 1812: Volume 2 (as well as copies of Volume 1) is available at selected retail outlets and historic sites throughout the region, including Old Fort Niagara, the Buffalo History Museum, Talking Leaves Bookstores, Dog Ears Bookstore and more. Copies can also be purchased at Western New York Heritage’s office or by calling 716-893-4011.